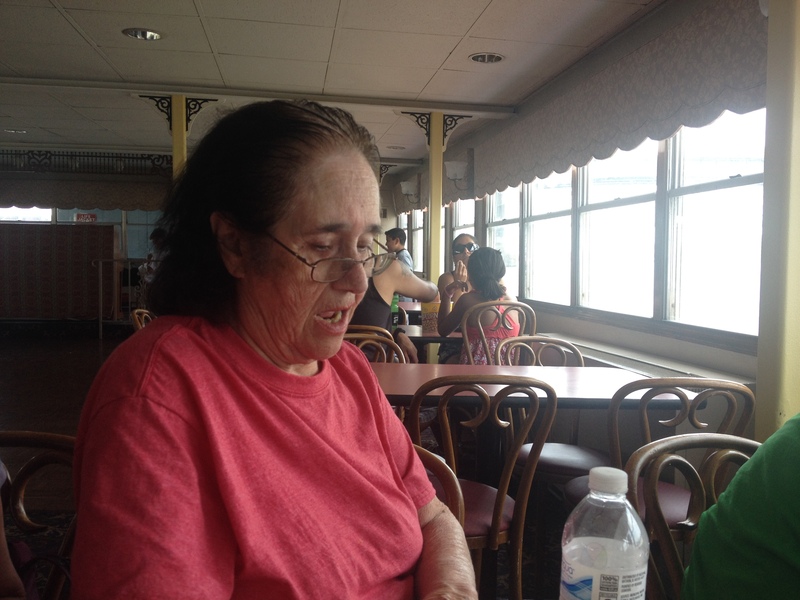 Here, Grandma Carmen cools off on the Becky Ann riverboat on the Mississippi River. It was an extremely hot day and ended up walking much farther than intended to get to the boat. Luckily, it was air-conditioned inside. As we were sitting there, a couple of the crew in uniform walked by. “Excuse me, do you know CPR?” Grandma Carmen called. Until recently, I’d never met my grandmother. I turn 30 years old this year, but I’ve lived in California all my life. Meanwhile, my grandmother, Carmen Dominguez (born Oct. 10, 1932, to Spanish immigrants Benito Dominguez and Mary Menacho), lives in Lake St. Louis, Missouri. A couple months ago, my dad, step-mom and I went out to visit. I learned a lot of things. I learned where my dad got the Gift of Gab, how my grandparents met (it was totally classy), and that Grandma Carmen loved working for General Motors until she retired. 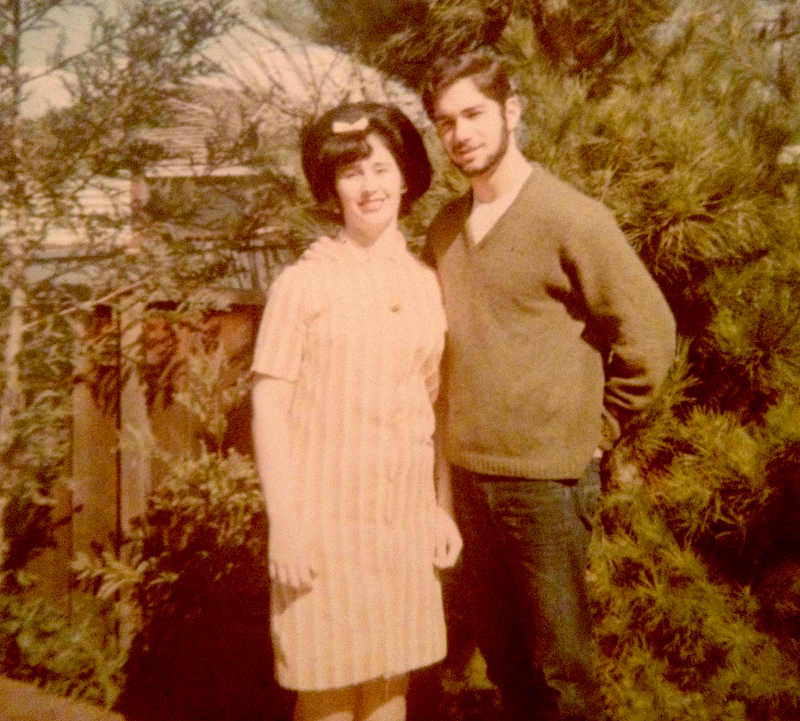 Carmen Dominguez and Steven Gullickson (my grandmother and father) back in the day. Growing up, my dad would always talk forever on the phone, and my sister and I would have to drag him away from conversations when it was time to leave a social function. My grandmother, it turns out, is equally as talkative. She loves to talk about the weather (once a tornado tore up a neighbor’s house just one cul-de-sac over), working at G.M. (she used to make huge plates of “enchiladies” for work parties and everyone would call her “mom”), and even my grandfather, who she was hoping would join her in Missouri after she moved there about 30 years ago but who never did. My grandparents were neighbors before they ever met. They lived across the street from each other in San Francisco. Grandma Carmen’s apartment building had a series of steps to get to the street. One day, she was hopping down the steps. George spotted her from across the street and called something along the lines of “It looks like two bouncing footballs!” referring to her chest. I told you. It was classy. George was four years older and in the Navy, so when he was on the ship, he would still make a point to call Grandma Carmen on special occasions, such as her birthday. They eventually eloped, but George’s mother, a devout Catholic, freaked out and demanded they be married by the Church. Grandma Carmen was 17 at the time, so she needed parental consent. She and George tracked down her mother and pulled her out of a movie theater so everything could be done officially. 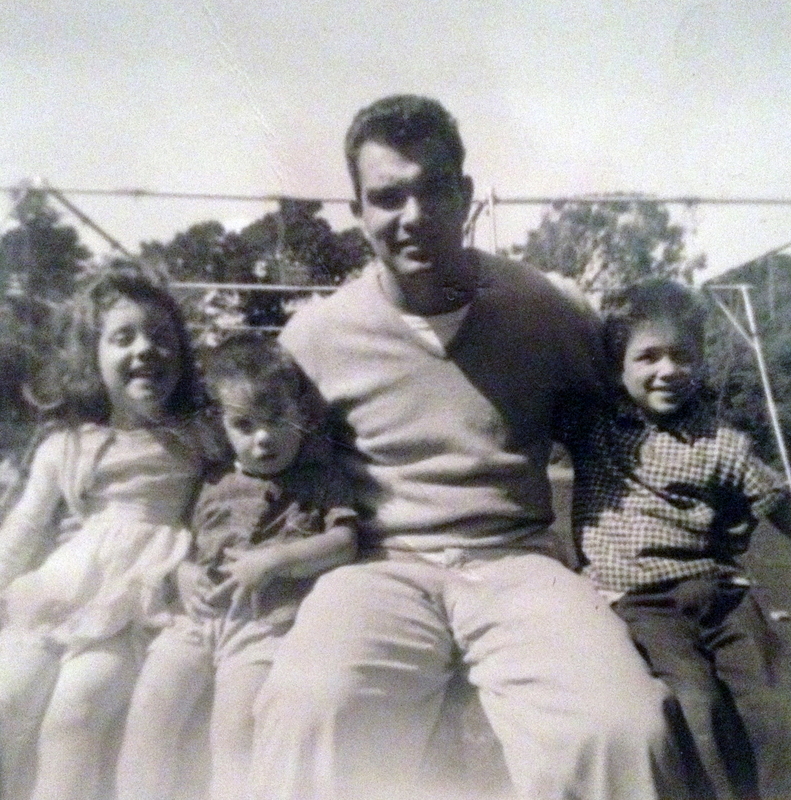 After they were married, George Gullicksen and Carmen Dominguez had four children. From left, Christina “Tina” Gullickson, Otto Gullickson, George Gullicksen, and Steven “Steve” Gullickson. Grandma Carmen never finished high school, but she did earn her GED afterwards — I believe to work for G.M. For a while, she worked out of a factory in California, but when that factory closed, the company made employees an offer — move on, or move to Missouri, where they could still be gainfully employed. She also lost part of her finger when a machine double-punched, had a lot of friends there, and got a cool shiny jacket upon retirement.